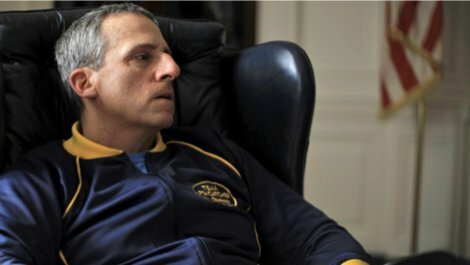 FOXCATCHER offers us relief only by way of a sliver of gratitude that we’ll never have to encounter the character played by Steve Carell. Leaving his perfected comic persona to someone who must be his twin, Carell rates a 10 on the Creep Scale with his chilling incarnation of zillionaire crazy person John E. du Pont. The story concerns du Pont’s involvement with two brothers: Olympic wrestling champs he convinces to live on his Pennsylvania estate and coach his personal team for the World Championships. Things get more than weird. 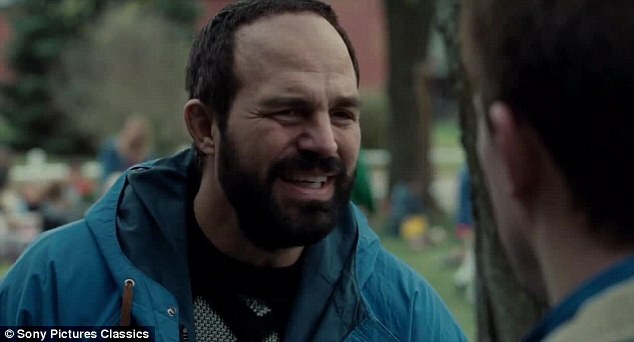 The story proper is more about the brothers, all but inhabited by Channing Tatum and Mark Ruffalo. Their sibling bond, triumphs and rivalry all figure, as du Ponts warped mindset and bizarre lifestyle ensnare them in what is the backstory theme behind the plot—the corrupting rot of disconnected excess that is the beating black heart of a grossly unequal system. People at such a remove from normal life move us around like toys. Layer in Mom issues, manhood issues, ‘worth’ issues. The movie remains somewhat clinical, a bit removed by Bennett Miller’s precise direction from the emotional turmoil of its characters: it leaves it to the viewer to attach whatever sentiment they choose to the cutaway view of this hive. Like Kubrick, or say, 12 Years A Slave, it’s cold and methodical rather than formulaic or histrionic. No swelling music cues. 134 minutes are maybe stretched ten too many: the pace throughout is slow, measured, unhurried. A real mood piece that often has you wondering what it’s getting at and where it’s going. When the shocker comes, it impacts like being body-slammed to the mat. Carell did such a mesmerizing ( simultaneously repellent) job of submerging himself in the role that the other actors were actually unnerved being around him. There’s no safe zone around this ‘philanthropist.’ He’s a revelation. Superb makeup completes his kit. Tatum and Ruffalo went above and beyond the call in preparation, training for six months to convince in the wrestling bouts. 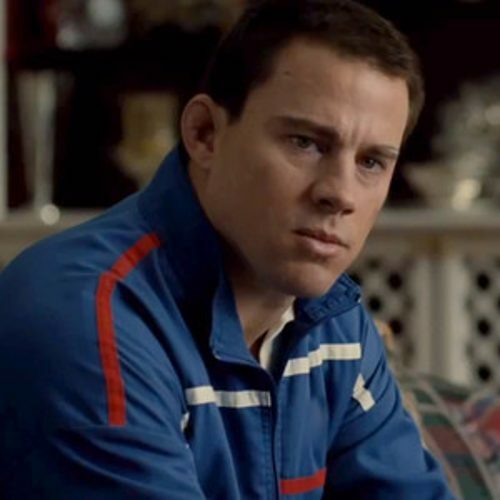 In many ways Tatum has the toughest role—decency, naiveté, talent and frustration trapped within pounds of muscle. Sienna Miller has a disappointingly small part that gives her little to work with, while Vanessa Redgrave gets a bit more play essaying her out-to-lunch matriarch. Oscar Nominated for Best Picture, Actor (Carell), Supporting Actor (Ruffalo), Director, Screenplay and Makeup. With Anthony Michael Hall.